Astoria Co-op Grocery wants to hear from you. Throughout the month of October 2014, the community is providing input into how the Co-op grows with a survey. You can also provide written comments in the store and via email at store@astoria.coop. In December, the Co-op board will compile all the input and draft a strategic plan which will guide the Co-op’s growth. The Co-op board of directors and management team had a retreat in February 2014, in which a vision for the future was born. Below is a graphical rendition. Throughout the year, we’ve been asking Co-op owners and the community for feedback regarding the vision. To see the process the Co-op has undertaken, click here. With three thousand consumer owners, plus the greater community at large, giving everyone a chance to have a voice in growth isn’t necessarily easy, and there’s no black and white approach. But we’ve been lucky to have an experienced guide through this process, Holly O’Neil, who has worked with several other food co-ops that have led successful expansions including Community Food Co-op (Bellingham, WA), Port Townsend Food Co-op (Port Townsend, WA), and North Coast Co-op (Arcata, CA). 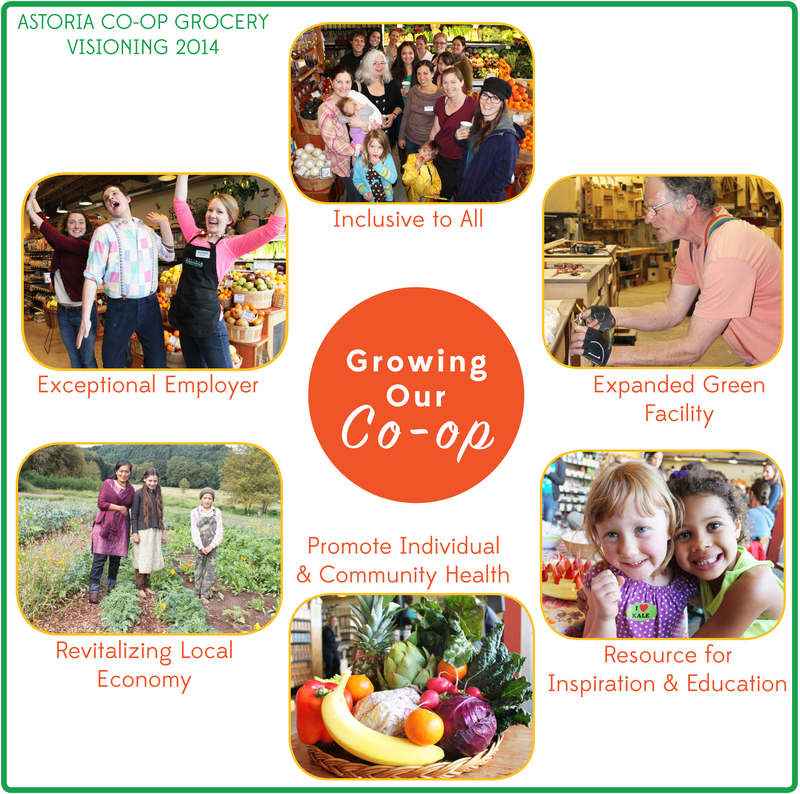 Please take a look at the Co-op’s vision for growth. We’d love to hear from you! We’re having a screening of the film, Food for Change, at our monthly food and wellness lecture “Beers to Your Health”. 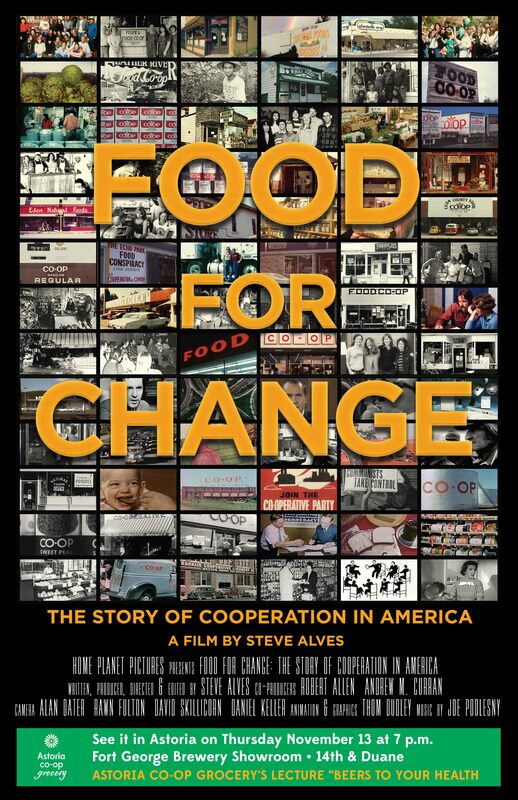 See the story of the cooperative food movement in America on Thursday November 13, at 7 p.m. in the Fort George Lovell Showroom. Doors open at 6 p.m. Food and drinks available for purchase. Free and open to all ages.